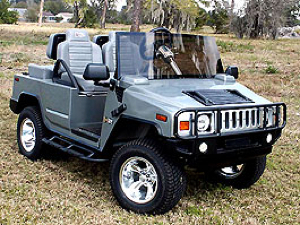 Ever driven a Hummer H2 on a golf course? LuxuryCarts.com delivers custom made body styles bolted on top of Club Car, EZ-Go and Yamaha Chassis. They offer a full line of kit carts for all body styles. These are truly unique carts which can be used on or off the golf course. 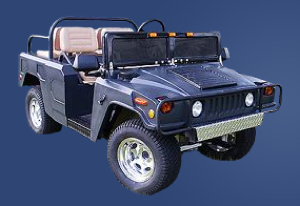 They offer the largest collection of specialty golf carts in the world. If you don’t see that special cart that you always wanted - no problem - they offer a “custom cart” program to design and build the one of your choice. What the hell is “n�vi”? “n�vi” could be your new versatile travel assistant that�s approximately the size of a deck of playing cards. The “n�vi” is a portable GPS navigator, traveler�s reference, and digital entertainment system, all in one coming from GARMIN. Combined with detailed maps, the n�vi provides automatic routing, turn-by-turn voice directions, and finger-touchscreen control�making it easy to find your way anywhere. 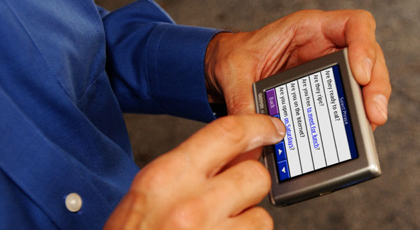 The unique �text-to-speech� feature calls out turns by street name. Additional audio and content support is provided for the optional Garmin Travel Guide and Garmin Language Guide software packages. 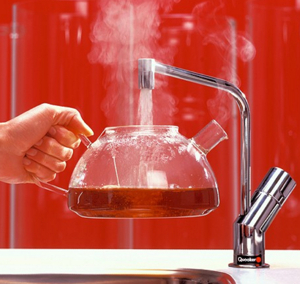 Another finding from London’s 100% design is.. “Quooker” a boiling water tap coming from the Netherlands where it is fairly prevalent in professional kitchens. Three litres of water are constantly stored at a 110�C in a compact tank that fits under the sink. The system features a water filtration system that purifies the boiled water before use and a childproof safety mechanism. First, water flows into the tank and is heated to 110�C to guarantee sterility. It is then purified as it passes through the water filter and cools off at 100�C as it flows out to make your cup of tea or coffee, sterilise baby bottles or blanch your tomatoes. Why not having one in your kitchen? 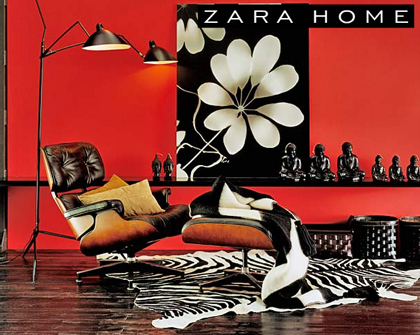 It has been discussed since a few month that famous fashion brand ZARA is going to cut a slice off from the home furniture and decoration market. 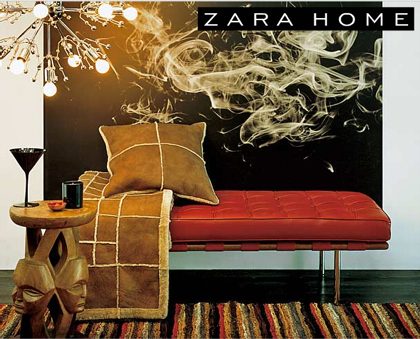 For the time being ZARAhome is neither in the US nor in Germany out in the market - but there is a ZARAhome website online, a new catalogue for the autumn 05/06 collection available and more and more European ZARA fashion outlets have been furnished already. I’ve checked ZARA London during my visit at 100% design last week - but this was not that amazing as the pictures form the website were promising!!! 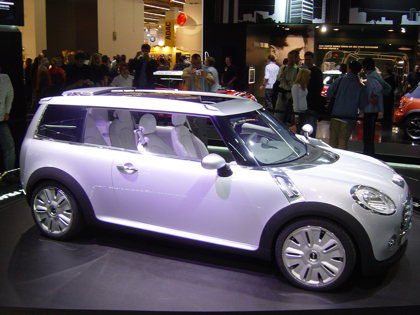 From my point of view - perhaps you already know that I am addicted to Mini - this was one of this year’s IAA highlights. It’s 45 years after the premiere of the “Mini Traveller” in september 1960 that Mini presented this latest design study “Mini Concept Frankfurt” at the IAA looking back at the classic Traveller and concentrated on two words - access and loading. The front design is quite close to the actual Mini - in some details a little more striking. The MINI Concept’s character is emphasised by retractable aluminium headlamps, air vents that turn into cup holders, and a central navigation screen that flips round to be replaced by a Jules Verne-style globe. A few weeks ago we introduces the Purobeach hotel to you, which has been voted one of the top ten places to be - not only by Conde Nast Traveller. 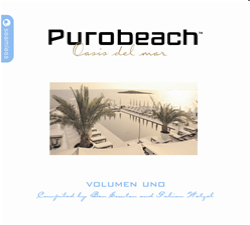 Music is one part that is making a place very special and that’s why… This is the first in a brand new series of double compilations “Purobeach” released by seamlessrecordings. Leading bargrooves DJ Ben Sowton begins this compilation as Purobeach does its day: A deeply relaxing soundscape awash with soothing beats and unwinding melodies. Expertly selected, this bespoke mix perfectly compliments the poolside calm of Purobeach�s Mediterranean setting - a refined blend of tracks purpose made for such designer slacking. Amongst them, music from one of The Netherlands� foremost downtempo producers: Alex Cortiz. If the UK has the likes of Nightmares On Wax; France has Air; Austria has Kruder & Dorfmeister; then Holland has Mr Cortiz. The aforementioned Austrian, Richard Dorfmeister, also makes his mark on disc one clad in his Tosca robes: �Chocolate Elvis� was a mid-�90s underground hit championed by the likes of Gilles Peterson. Here it appears in its slick Boozoo Bajou Soul Sufferer form. The soundtrack is a sun-soaked mix of chilled house and downtempo grooves. Buy this album, and bring a ray of mediterranean sunshine into your life! What’s about sending messages when your sweetheart arrives late at home and is runner-up at your playground? Human touch provides countless pillows beautifully designed and decorated with lovely or quite useful messages. If the purpose is to animate, to stimulate, to inspire, to set someone thinking, … what ever is on top of your wish list - here are some answers. Geniol’s “FIREPLACE” has been shown at Tendence and received a hell of attention. Marshmallows are still better toasted over a campfire, but otherwise the fireplace brings all the fascination of an open fire to your home. No chimney or extractor required! The fireplace is fuelled with standard fuel paste for indoor use. 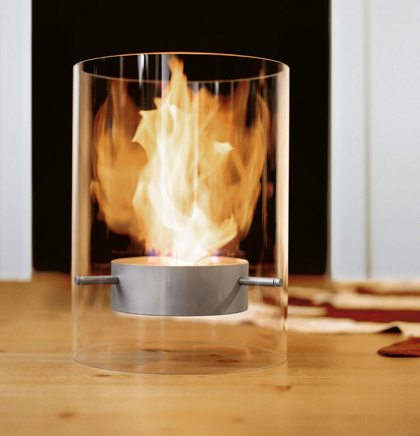 Centerpiece of this glass object is a stainless steel construction, which is attached to the sides of the glass cylinder with screws but gives the impression of floating in the air. It contains the furnace chamber, the cover of which has a log-fire pattern. This irregular pattern gives the rising flames an interesting shape and catches the eye even when the hearth is not in use. Designer Wolf Udo Wagner focused on pure asthetics of real fire. Enjoy chilling moments in front of it. Good design is nice to look at, but great design exhibits beauty that�s more than skin-deep � it integrates form, function, and market need. 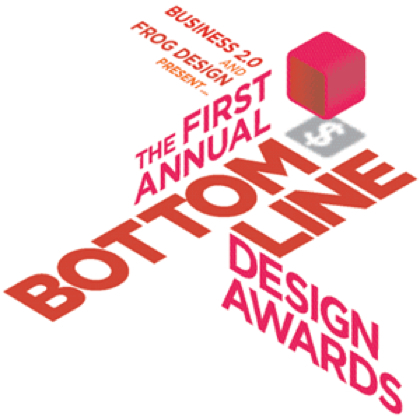 The best place to see the latter, of course, is the bottom line, which is why Business 2.0 and frog design created the first industrial design awards to honor products not just for their beauty but also for their commercial success. For the last competition they assembled a panel of nine expert judges�from industries as diverse as advertising, fashion, and technology � who were asked to consider everything from a product�s success in the marketplace to its impact on a corporate culture. And, of course, how nice it was to look at. Here are their picks for this year�s best-designed products. Recently they started the nomination for the 2nd award in 2006 - only accepting third-party nominations for the competition. To nominate a product that has been released in the 2005 year, download the nomination form (PDF). Entries (RSS) and Comments (RSS). 15 queries. 0.077 seconds.